Even though it feels like 2019 just got started, it’s already February! And for the first week of the month, SXSW has released yet another of their weekly lineup announcements this morning. Once again, it’s a healthy mix of up-and-coming, relatively-unknown talent with a few big, established artists from the alternative music world. SXSW is just over a month away, so we’re getting towards the tail end of the lineup reveals. This week’s lineup addition doesn’t disappoint, with several well known indie rock bands that have made some big announcements over the last few months. First up is Pedro the Lion, David Bazan’s full-band outfit from Seattle. They’ve reunited for a new album and shows. Technically the reunion was announced in 2017, but they’ve kept on going with 2018 tour dates and their recently released new album Phoenix (get it?). It’s not as if Bazan hasn’t been busy for the last few years, with his solo career in full swing and a new project called Lo Tom (featuring TW Walsh) releasing a self-titled album in 2017. White Denim will be playing in Austin during SXSW as well, something that they’ve done practically every year in recent memory. They played in 2016. In 2017 they played after releasing their album Stiff. And now, they’ll play in 2019 after having released yet another great album with Performance, which came out in late 2018. The third band that graces our title is Los Angeles indie-psych band Wand. They’re a band that’s lead by Cory Hanson and like their compatriot Ty Segall, they’re quite prolific. Last year they released an EP called Perfume, which was great. The year before that they released Laughing Matter, an album that saw them expand upon their sound in exciting ways. In 2015 they released 1000 Days, 2015 saw the release of Golem and the year before that they debuted with Ganglion Reef. 2019 will also see a release from the band, right around the time of SXSW (technically a month after). They’ll be releasing their newest album Laughing Matter on April 19, 2019. 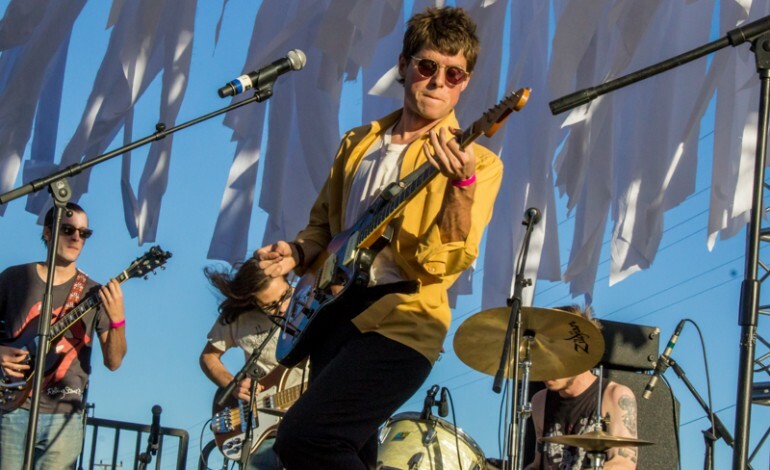 Other noteworthy artists that have been added to this year’s SXSW festival include Mike Krol, Israel Nash, The Strumbellas, Durand Jones & The Indications and Miya Folick. Krol recently released his new album of power-pop hits, appropriately titled Power Chords. Nash released his latest album in 2018, a lush collection titled Lifted. Durand Jones & The Indications have a new album on the way and while it’s been a few years since The Strumbellas released an album, it’s almost a given that when a major artist announces they’re playing SXSW, they have something up their sleeves. The music portion of SXSW will be held Monday, March 11 to Sunday March 17, 2019 in the city of Austin, TX.